Containers are an increasingly important way for developers to package and deploy their applications. They are lightweight and provide a consistent, portable software environment for applications to easily run and scale anywhere. Amazon Web Services (AWS) customers use containers as the fundamental unit of compute to deploy both existing and net-new workloads like microservices, big data, machine learning models, and batch jobs. At AWS re:Invent 2018, we announced the AWS Container Competency Program to highlight top AWS Partner Network (APN) Partner solutions that offer support to run workloads on containers on AWS. The AWS Container Competency recognizes APN Technology Partners with a product or solution that integrate with AWS services in ways that improve customers’ ability to run workloads on containers on AWS. They help customers optimize orchestration and scheduling, infrastructure, application build/test, and deployment on containers, as well as with monitoring, logging, and security of containers. The key value of the AWS Competency Program is to build customer trust by helping organizations choose top APN Partners based on workload, solution, or industry designation. The AWS Competency Program identifies, validates, and differentiates APN Partners that have demonstrated customer success and deep specialization in specific solution areas or segments. 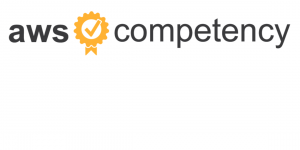 To receive the AWS Competency designation, APN Partners must undergo a rigorous technical validation related to industry-specific technology. The validation gives customers complete confidence in choosing APN Partner solutions from the tens of thousands in the AWS Partner Network. Foundation: APN Partners that provide a uniform and consistent method of managing multiple containers, regardless of the workload on AWS. These solutions must consider the key tenets of running a containerized workload on AWS and are capable of Auto Scaling, service discovery, and have standard networking capabilities. Monitoring & Logging: APN Partners that offer monitoring and logging technology enable customers to collect metrics, analytics, and debugging information from their containerized workloads. These solutions allow for visualization of real-time events and alerting capabilities beyond the native integration with Amazon Cloudwatch. Security: APN Partners that enable customers to run compliance-based workloads within container orchestration frameworks. These offerings proactively assist customers to protect their environments, and provide network monitoring and management, Common Vulnerabilities and Exposures (CVE), vulnerability scanning, and alerting capabilities. The AWS Competency Program recognizes APN Partners who demonstrate technical proficiency and proven customer success in specialized solution areas. APN Partners with experience in containers can learn more about becoming an AWS Competency Partner here.